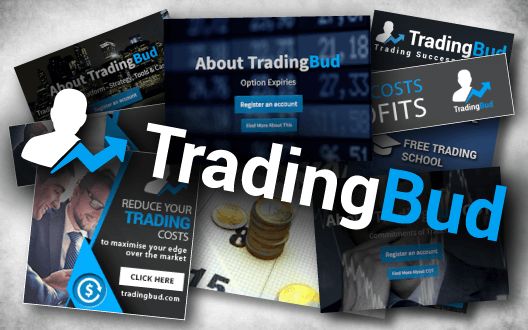 TradingBud considers each of it's client as a partner. Our referral system is very easy to use. 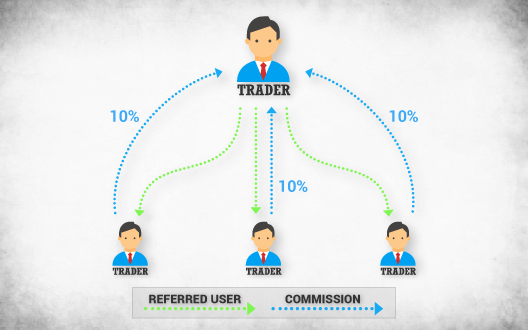 All you need to do is refer traders to our website using your unique referral link which you can find on your profile page. As your referred client starts trading, you will earn 10% of the amount of cashback he or she receives. Your commission is available for withdrawal right after. There is no limit on the commissions you can receive! We aim to make our referral system very transparent and convenient to use. Your referral link can be copied by one click and used anywhere. We provide you with access to live statistics and reports specifically designed to give you all the information you need. You can keep track of all your referred clients by user name, registration date and the amount of cashback they received. 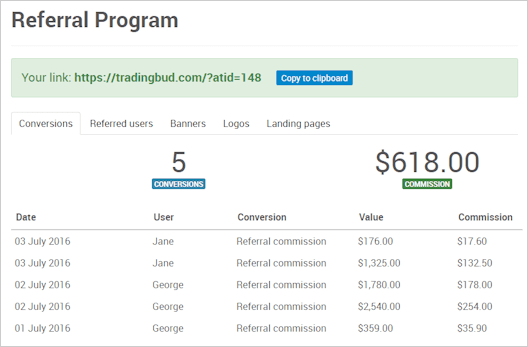 Review your conversions and earnings; all in full detail! Take advantage of our creative marketing tools and promotional materials, such as banners, logos and landing pages to increase your traffic and take your business to the next level. We can easily tailor all aspects of our partner solutions in order to satisfy your individual needs, all of which are available in a variety of sizes and languages.